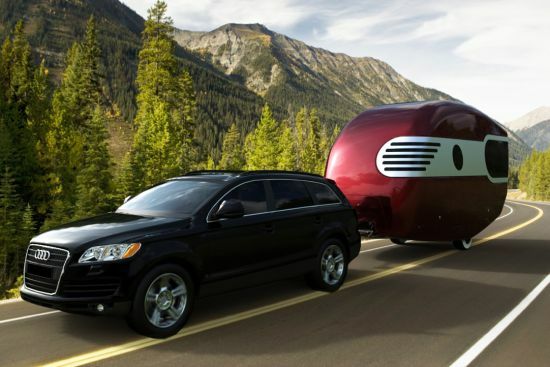 We’ve gathered some of our favorite modern/conceptual trailers to give you inspiration for your next getaway vacation. Enjoy! 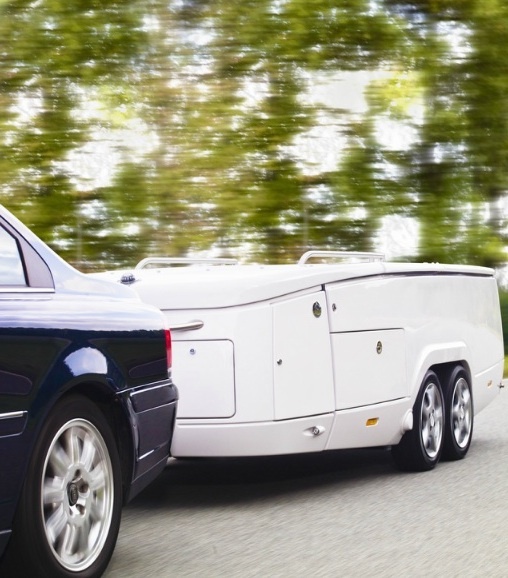 Looks like an ordinary hitch on trailer from the outside…but on the inside it doesn’t even feel like you’re in a trailer! 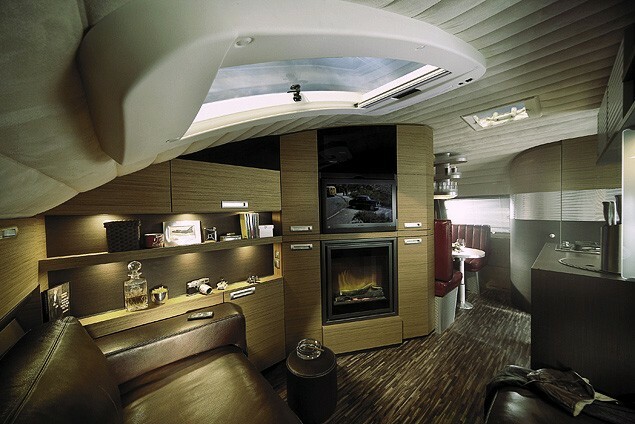 The warmth of the lighting as well as the textile tones enhances the atmosphere in this tiny trailer to feel much larger than it actually is. 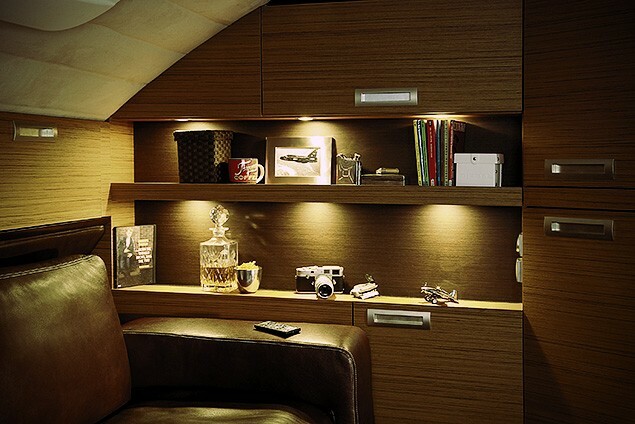 Since there are limited side window access, the sky light is a nice feature to let more natural light into the space. 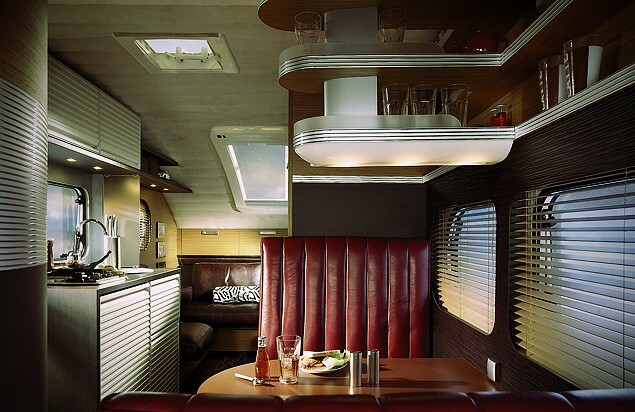 The kitchenette design has streamliner features, which reference back to the classic 1950’s trailer style. 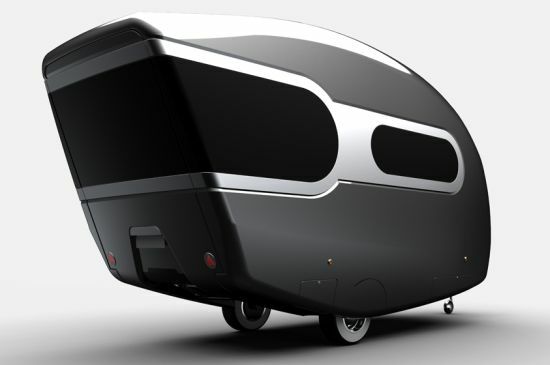 Inspired by the Sydney Opera House, Enthoven Associates designed a more modern approach to the average pop-up camper. 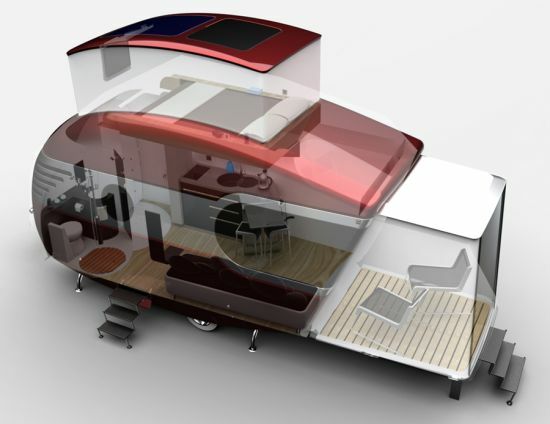 When fully assembled, the interior of the camper has a resemblance to a traditional camping tent with the center pitch, despite the fact that this one includes a full kitchen and countertop area. 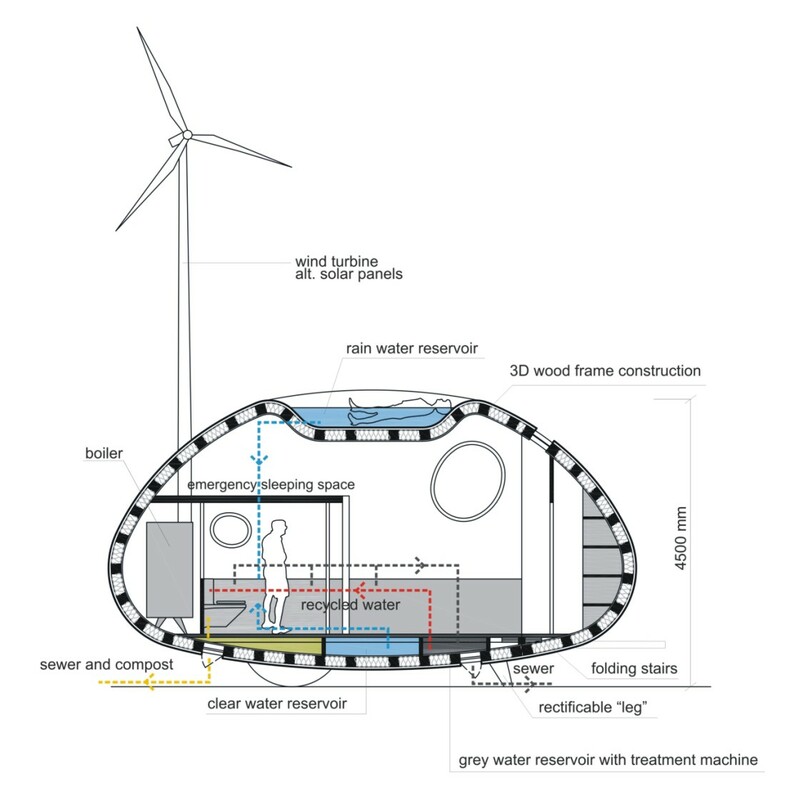 Althought the eco capsula is currently just a conceptual model, it has some great sustainable features as well as a very modern design! 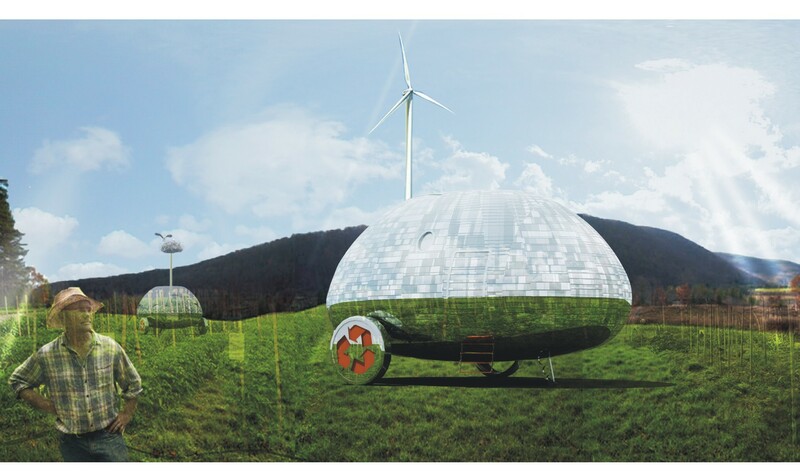 The eco capsula would be very energy efficient through it’s attached wind turbine, as well as it’s solar panels. 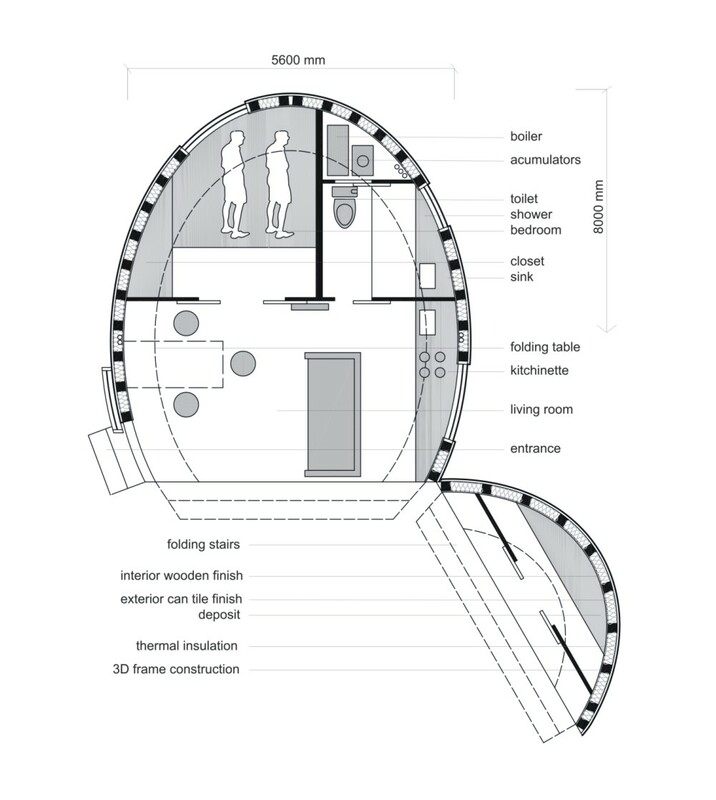 It would collect rain water in a small indentation located on top of the unit, which could be used for lounging in the summer months. That same water would then be recycled for other plumbing needs. 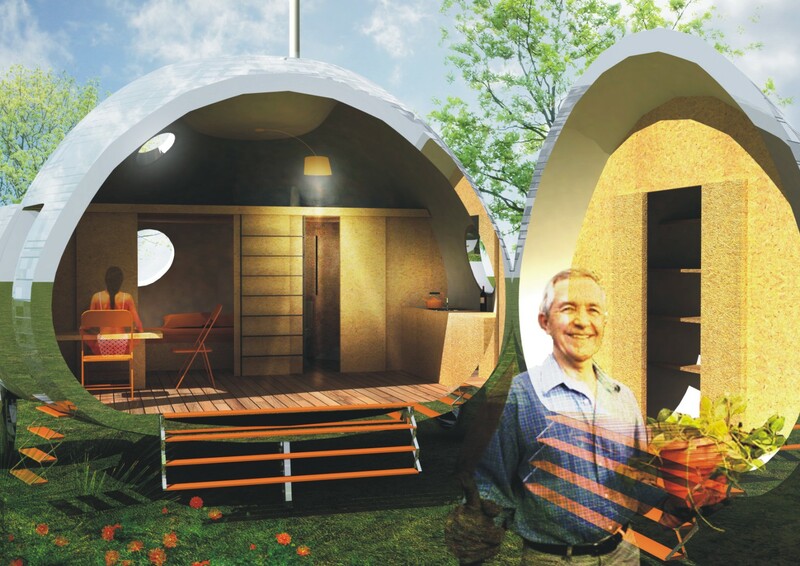 Overall, we think this is a super neat idea and would love to eventually see a bunch of these pods scattered throughout a field one day! 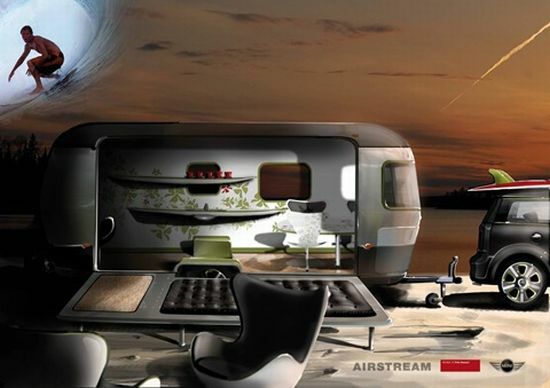 Some of us here at mercer INTERIOR drive MINI Coopers, so we automatically loved this idea of the car company and Airstream coming together and creating this awesome concept! 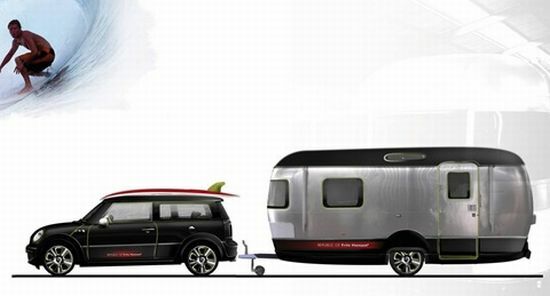 Not only does the MINI Cooper look fabulous towing this trailer, but the trailer itself has a very sleek and fun design. 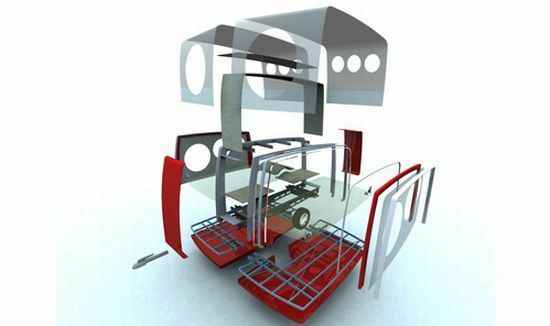 We like the idea of the entire side panel folding down, expanding the interior space to the exterior. 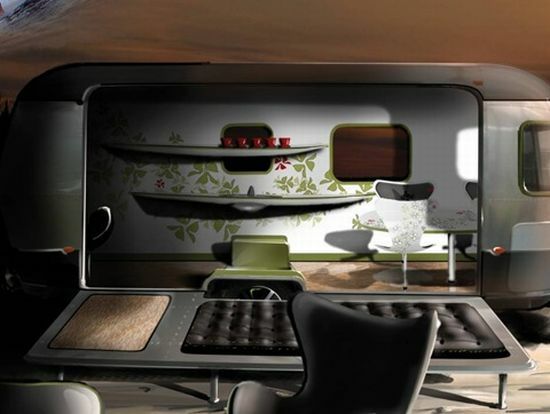 We also love the classic furniture designs being integrated into this fun concept too! A trailer that can expand to greater lengths, but then come back together so compactly? How convenient. 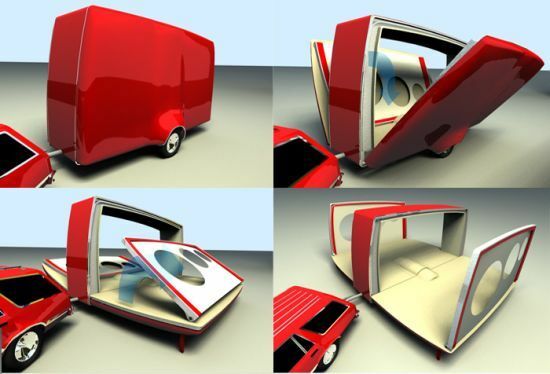 Although it is just another concept idea, we would love to test this model out on our next road trip! 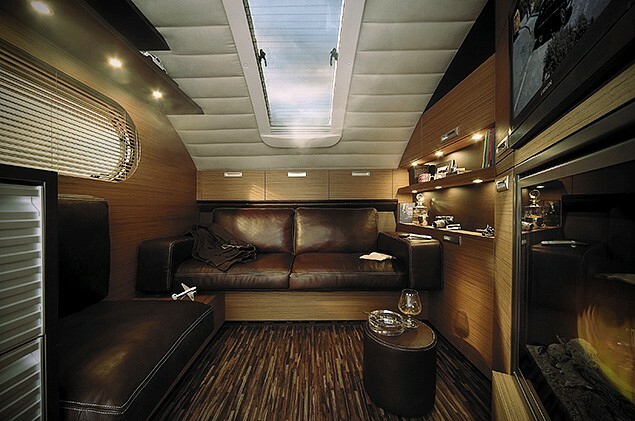 It’s difficult to pick our favorite feature on Bob Villa’s Caravan design because we simply love it all! 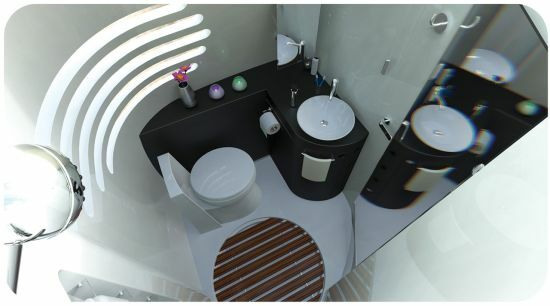 The exterior has a really clean and modern design that makes you curious to what the inside would look like. Having the front section of the trailer extend out for an entry way or deck area creates more space inside but also allows for less clutter (shoes, bags, belongings, etc.) around the rest of the caravan. 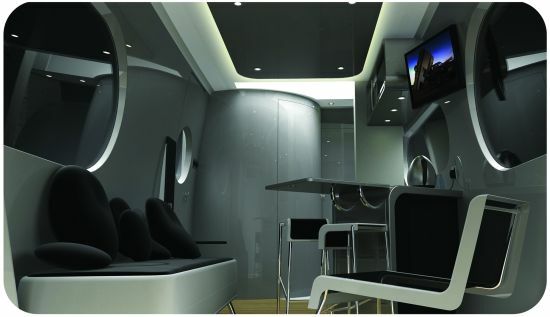 The bedroom area is located above the living room, yes above! 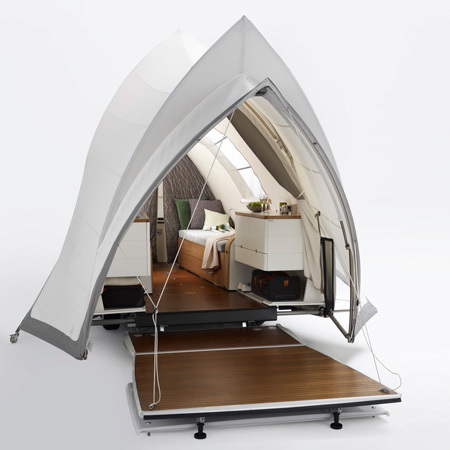 The automatic pop up panel increases space inside this modern trailer, by locating the sleeping area completely out of the way from everything else.